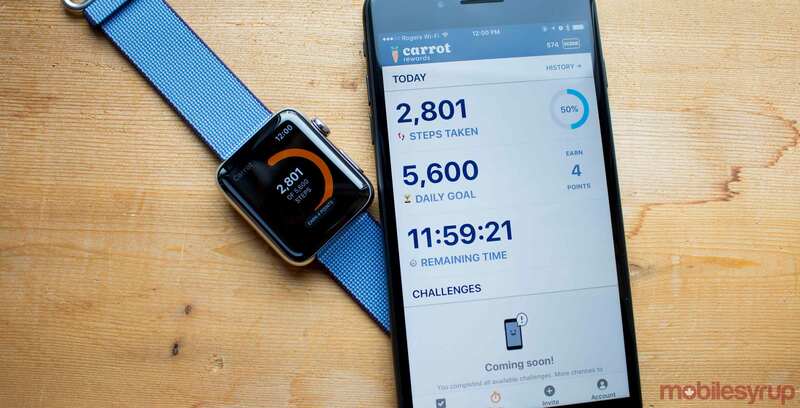 Toronto-based startup Carrot Rewards’s eponymous fitness rewards app has been named the global winner of the OECD’s 2019 Edge of Government Award. Carrot was selected from over 500 submissions from around the world at the World Government Summit in Dubai. In total, the summit brought together more than 4,000 senior global government delegates to discuss and reward new trends, technologies and innovative solutions that benefit citizens in all corners of the world. Carrot Rewards launched in March 2016 on Android and iOS and is available in Ontario, British Columbia and Newfoundland and Labrador. Funded in part through the government, the app gives users who hit daily and weekly step goals and complete health and wellness-related quizzes with points towards loyalty programs like Scene, Petro and RBC Rewards. However, as of December, Carrot has changed its policies so that only those subscribed to its premium Carrot Plus plan can earn points for hitting their daily step goals. Carrot Plus offers reward multipliers depending on how many consecutive days users can hit their step goals. Non-paying users can still earn points through hitting weekly Step Together challenges with friends, completing quizzes, inviting new users to sign up and more.